If asked to name the key elements of their favorite novel, most readers would place at the top of their list vivid characters and an engaging plot. But when we think of our favorite novels, another vital element is the strong sense of place. Whether it’s Huck Finn’s Mississippi River in Mark Twain’s masterpiece or Pip’s London in Charles Dickens’ Great Expectations or the Spanish countryside of Ernest Hemingway’s For Whom the Bell Tolls or the environments of any of your favorite works of fiction, that sense of place is woven into the very fabric of the story. Sense of place has always been an important element in detective fiction. Think of Philip Marlowe’s Los Angeles, Dave Robicheaux’s New Iberia, and the Four Corners area of Tony Hillerman’s Leaphorn and Chee mysteries. And now imagine the cognitive dissonance you’d experience if we placed those characters somewhere else. Des Moines instead of Los Angeles, Brooklyn instead of New Iberia, Orlando instead of the Four Corners. Sense of place is key. St. Louis has been the setting for all but the first of the mysteries in my Rachel Gold series. 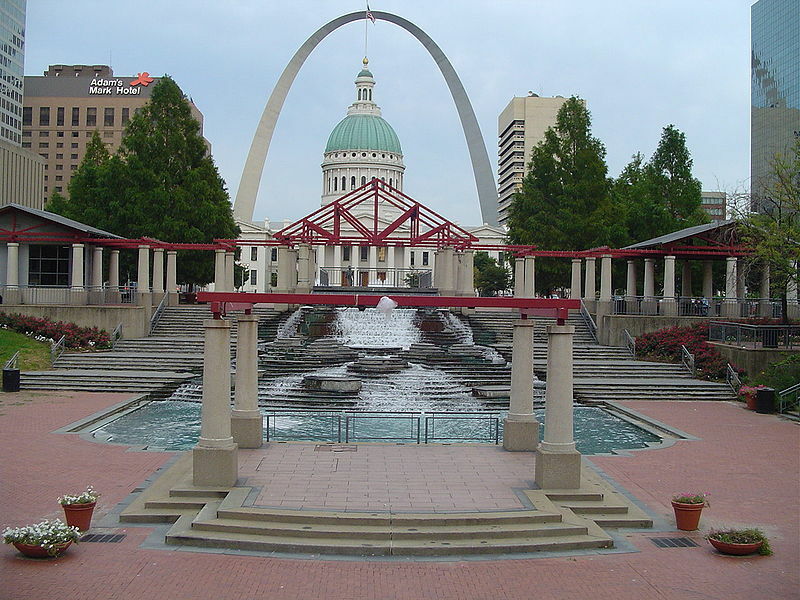 In addition to trying to evoke the mood of this blues-loving, Cardinals-crazy river town, I’ve worked one or more unique St. Louis locations into the plots of each of the novels. 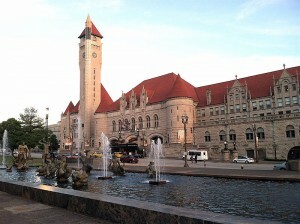 For example, the final confrontation in Grave Designs takes place inside the Gateway Arch, and the pivotal event in Bearing Witness occurs inside the imposing Clock Tower at St. Louis Union Station. 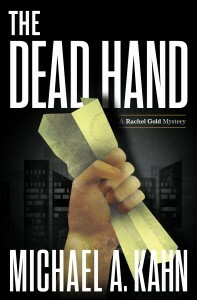 In creating my new Rachel Gold mystery, The Dead Hand (to be published this September), I decided to pay homage to three of the quirkiest elements of my town’s culture. Newcomers to St. Louis inevitably comment on all three. 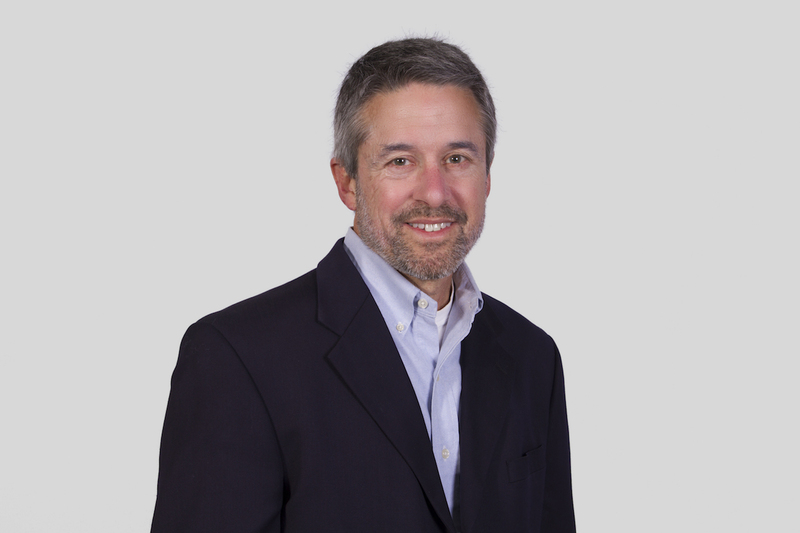 Natives of St. Louis, especially those who’ve spent most or all of their lives within the metropolitan area, are startled to discover that what they assumed were standard throughout the nation are in fact unique to their town. 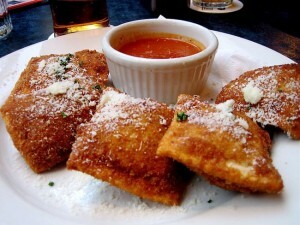 The first is toasted ravioli, an appetizer you will find on the menu of every Italian restaurant and sports bar in town and almost nowhere else in the nation. The second is the word “hoosier”—a term the rest of the nation understands as a proud nickname for an Indiana resident but in St. Louis is a derogatory term for a hick or, for certain suburban snobs, a white-trash resident of the South City portion of St. Louis. Indeed, many a resident of our town is baffled when first learning that the Indiana University sports teams are known as, and are actually proud to be known as, the Hoosiers. And the third thing unique to St. Louis is our obsession with your high school. As we natives know, the most common question posed when two locals meet is: “Where did you go to school?” And unlike residents of other cities, we understand that the term “school”—even when you’re in a room filled with possessors of graduate and doctorate degrees—means “high school.” And we also know that the answer to that question will reveal a trove of sociological, cultural, and religious information that would make an anthropologist jealous.